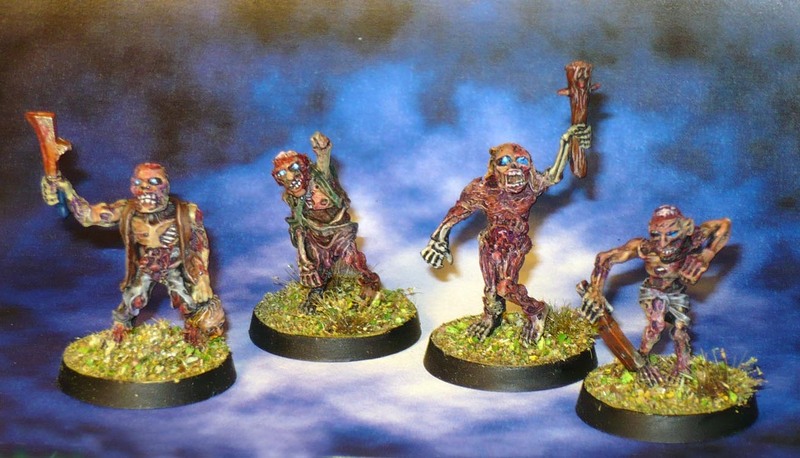 Some lead miniatures from the 80s, Citadel Zombies. A bit worse for wear, one of them is missing an arm. Luckily no sign of any lead rot or such. They were takes out of their pack ages ago, which probably saved them. But since these are zombies of the not-entirely-fresh variety, I don’t see the missing arm as much of a problem. One of the others have probably had it for lunch. PreviousWhy is that pile of bones moving about?